UPDATED: A regulatory filing reveals the "Star Wars" creator may cash out the stock he received when selling Lucasfilm to Disney. But he "does not currently have any plans" to sell, a spokesperson says. 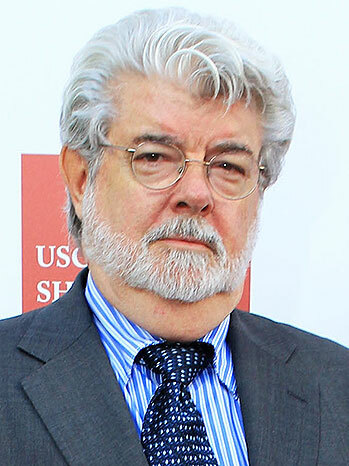 George Lucas might not intend on keeping all of his huge chunk of Disney stock very long, judging from a regulatory filing signaling his right to sell more than 37 million shares -- amounting to all the stock he received when he sold Lucasfilm to Disney for $4 billion last year. Disney filed the Form S-3 Registration Statement on Wednesday and a spokeswoman characterized it as a required formalization of Disney's acquisition of Lucasfilm. According to the filing, The George W. Lucas, Jr. Fourth Amended and Restated Living Trust could sell 37,076,679 million shares of Disney -- amounting to about 2.1 percent of the company -- "from time to time" until the trust no longer holds any of the stock. The sale of stock could occur via "ordinary brokerage transactions or through any other means described in this prospectus," the filing says.